This file comes with 8 pages of Pencil Toppers which could also be used as badges, bulletin board decorations, etc. 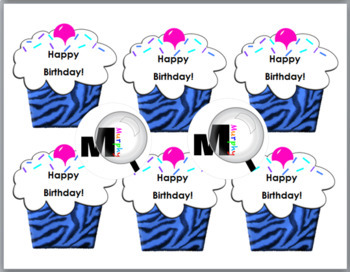 To use as pencil toppers just print on card stock or photo paper, cut, and tape to the top of a pencil. You could also tape the topper to the top of a pixie stix, crazy straw, etc. 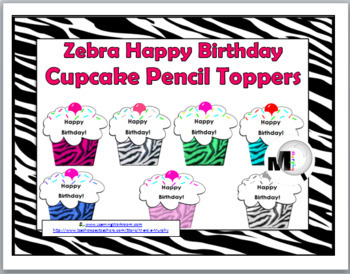 Each page will print 6 pencil toppers. The size of each is approximately 3” x 3”. 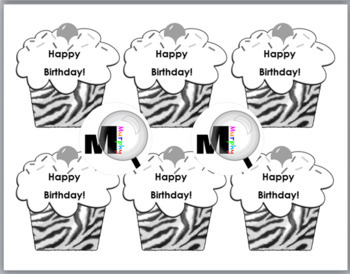 You may also want to check out my coordinating Zebra Birthday Certificates. 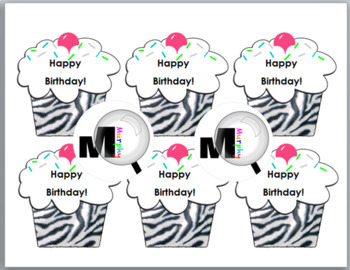 **** If you would like to view some of my other Zebra Themed Products, please click the link below.